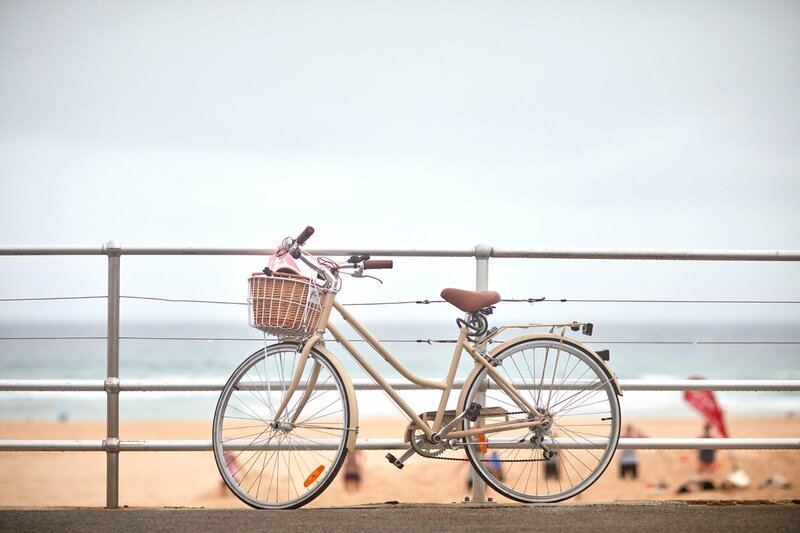 If you’re new to Bondi or looking to mix up your weekend routine, here are our tips on planning the perfect Bondi Beach daytrip, because a Sunday well spent brings a week of content. Start your morning with a strong coffee and sweet bakery treat from Sonoma. 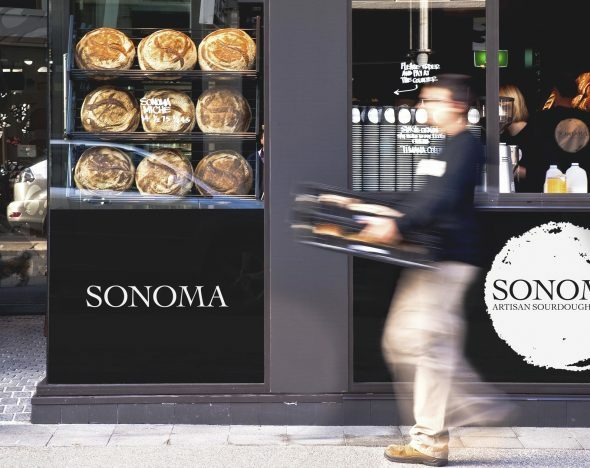 These guys pride themselves on their impeccable coffee roasting and artisan sourdough. Not to mention, the interiors of this café are incredibly alluring and incredibly Bondi. Head to the markets early before it gets too hot and before all of the good stuff has been and gone. 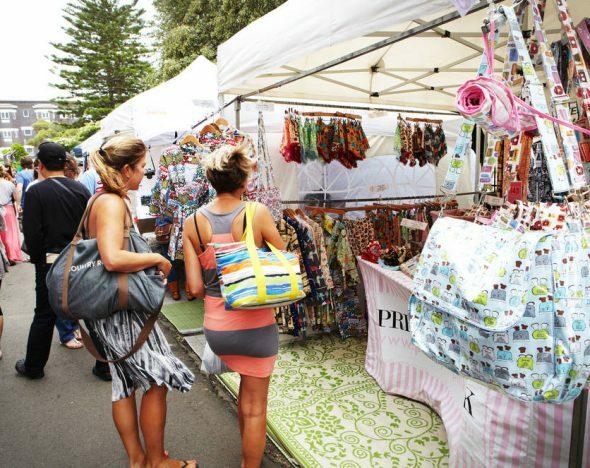 If you’re there by 9am when the stalls start trading, you’re guaranteed to find some one-of-a-kind pieces at bargain prices. It’s a win-win! Here’s some info on how to get there. 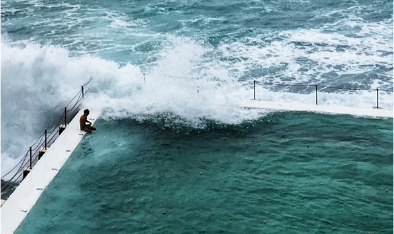 Bondi boasts Australia’s most famous beach, so a mid-day swim is a must. If surfing tickles your fancy, book a lesson with the pros at Let’s Go Surfing. 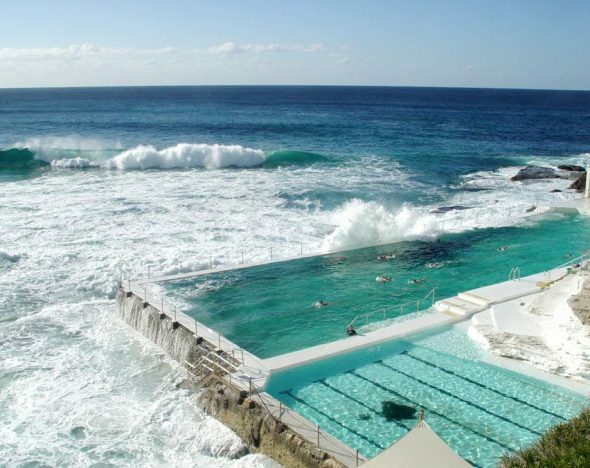 If a slow-paced, leisurely swim is more your style, head to the iconic Bondi Baths to avoid the tumultuous surf. Admission for adults is usually around $6, making this a great option for the whole family. 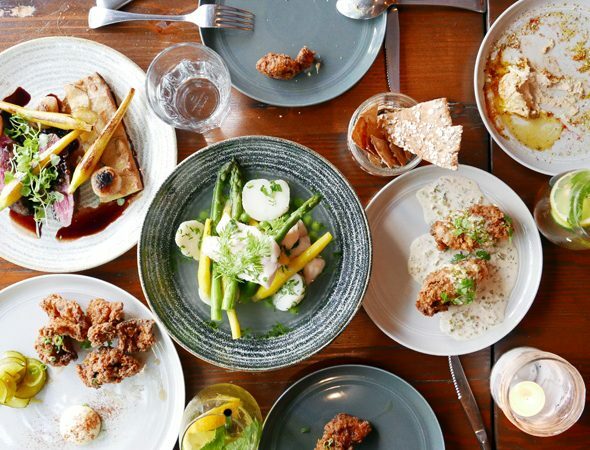 After your swim, satisfy your appetite by grabbing something to eat at Bondi Iceberg’s casual bistro. With its panoramic views of the beach, this is the perfect place for some hot chips and a nice cold beverage after a jam-packed day. 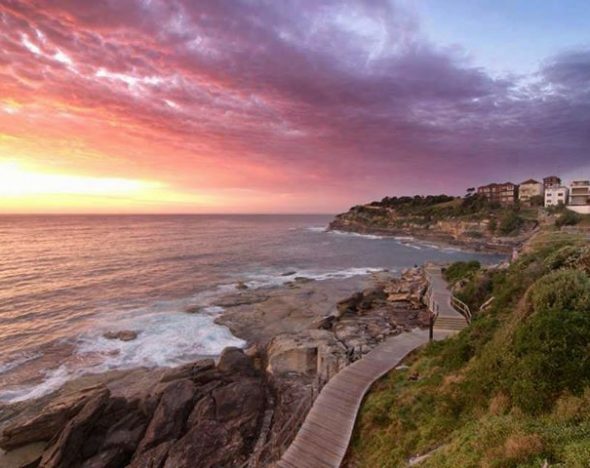 Set off just before sunset on the Bondi to Bronte walk to watch the sky turn pastel shades of orange and pink over the ocean. This scenic walk is approximately 4km long and should take a little over an hour (including time to take plenty of snaps along the way).